What Is The APC Lifeline and How Will It Benefit You? Upcoming Events – secure your place today! Covers the APC process in detail and helps you to understand what is needed to achieve the APC. The components of the critical analysis, how to select an appropriate project and common pitfalls. 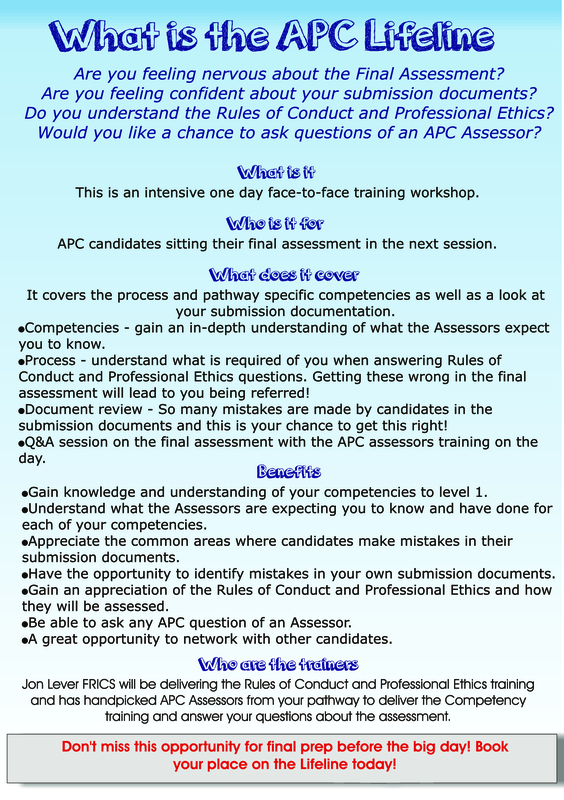 An intensive one-day workshop (over 9hrs) for APC candidates taking their final assessment in Session 2 Autumn 14.Covering the process and competencies to ensure you have everything right first time. Including a review of the final assessment helping you to understand what to expect. £195 plus vat per person, early bird rates available! 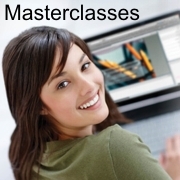 Monthly sessions to fully prepare you for the final assessment. If you are on the Professional Experience Route then this course is a must. It’s been tailored for your needs and is a great networking opportunity for PER candidates. £150 plus vat per person, early bird rates available! If you are based in the East of England or East Midlands don’t forget about the RTA Surgeries, free drop-in sessions where you can ask Jon Lever your APC questions. Boost your APC for Free. For extra confidence before your final assessment interview, sign up for our FREE Mock Interview Feedback online masterclass. Following our most recent set of mock interviews, Jon and his fellow DeLever consultants will be discussing the most common mistakes made by candidates in the final interview and providing advice and suggestions on how you can avoid these mistakes. 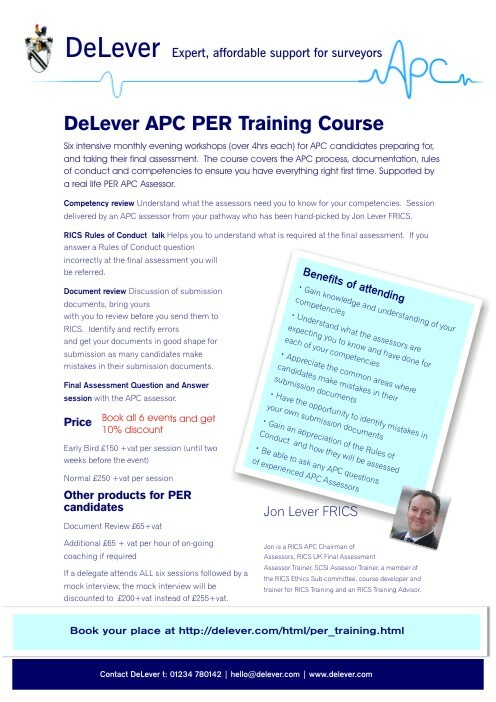 Benefit from the knowledge of our DeLever consultants, all experienced and active APC Assessors, and gain key hints and tips to help you in your interview all absolutely FREE!!! Don’t miss out; sign up now!! 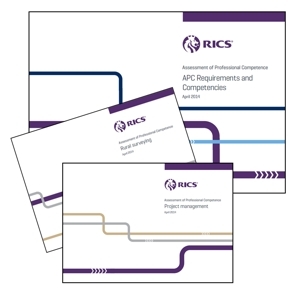 Just a quick note to update and remind you that the RICS have updated the Process and Pathway guides. The guides have undertaken various minor updates since January 2014 and mor recently in the last few weeks in April 2014. My initial thoughts: Don’t worry too much about this. It is good to be up to date and not huge amounts have changed other than look and feel. 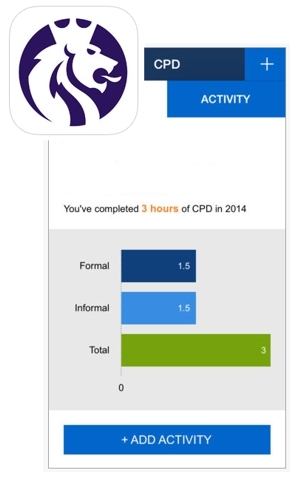 A sign of the times… RICS Associate and Chartered members online CPD can now be recorded on an APP. Carry it with you everywhere you go and record your CPD. Formal CPD: Remember (50% minimum) Formal CPD is training that you can determine a learning outcome. This can be any form or mode of learning where you feel you have improved and developed your knowledge and experience. 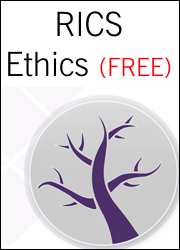 APC Candidates: Whilst you cannot yet use the online CPD recording system or the CPD APP, it is a great Rules of Conduct and Ethics knowledge base item to be right up to date on for your Final Assessment. My initial thoughts: Not bad… I’m using it and it seems to makes life a little easier… Takes a few minutes to update on the RICS web site but that’s no problem. Over the next few weeks we are looking at the 5 PRINCIPLES OF BETTER REGULATION which appear in the foreword to the Members and Firms Rules. It is IMPORTANT to remember that the 5 Principles of Better Regulation relate to the REGULATOR, not how we as members or firms should conduct ourselves with our clients. Therefore we should view the 5 Principles of Better Regulation as a function of how RICS (Regulation) will monitor, communicate and treat us in a professional and open and transparent manner when it comes to issues of monitoring (Regulating) our day to day professional practice. Regulators should be open and keep regulations simple and user- friendly. Policy objectives, including the need for regulation, should be clearly defined and effectively communicated to all interested parties. Effective consultation must take place before proposals are developed, to ensure that stakeholders’ views and expertise are taken into account. Stakeholders should be given sufficient information, to respond to consultations. Regulations should be clear and simple, and guidance, in plain language, should be issued in a reasonable timescale before the regulations take effect. Those being regulated should be made aware of their obligations, with law and best practice clearly distinguished. Those being regulated should be given the time and support to comply. It may be helpful to supply examples of methods of compliance. The consequences of non-compliance should be made clear. Transparency completes the five principles perfectly, making Regulation simple and easy to understand. Ensuring the Member or Firm fully understands the Regulatory function and making it simple to follow and in plain language. And most importantly if non-compliance is identified, RICS Regulation promotes support and education to bring the Member or Firm back into regulation rather than taking an immediate heavy handed approach. DeLever are very happy to announce our latest offering specifically for Professional Experience Route Candidates. Feedback from PER candidates suggests they are finding this route is a lot more demanding than they thought it would be. DeLever are here to support and guide you through the process. With our expertise and regular monthly training, you’ll have all the support you need. Regulations should focus on the problem and avoid a scattergun approach. Where appropriate, regulators should adopt a “goals-based” approach, with enforcers and those being regulated given flexibility in deciding how to meet clear, unambiguous targets. Guidance and support should be adapted to the needs of different groups. Enforcers should focus primarily on those whose activities give rise to the most serious risks. Regulations should be systematically reviewed to test whether they are still necessary and effective. If not, they should be modified or eliminated. Accepting that the RICS membership is diverse and varied with Sole Traders, Small, Medium and Large Firms, Public & Private Sector, pure Surveying companies, specialist departments within non-surveying firms and Multi-disciplinary firms etc. Targeted Regulation focuses on the specifics and high priority cases, promoting flexibility yet keeping an eye on the key Regulatory functions whilst maintaining a fair and unambiguous balance.